Those gorgeous flowers that were delivered may have brightened your day, but did they leave your sleeve with a pollen stains. Pollen that has been rubbed into clothing is very hard to remove. If you could look at pollen under the microscope, you might see how it has barbs, tendrils, and other structures to latch onto pollinators like bees and the fur of animals and get spread. Nature's ingenious ways to propagate plants are what are working against you in getting it out of your clothing. Follow these steps quickly to remove the pollen without removing the flowers. Shake the pollen out and use tape to lift it from the fabric. Shake the stained item outdoors to remove as much pollen as possible. If the pollen has already been rubbed into the clothing, try putting sticky tape on the surface of the pollen stain, and then gently lifting. The pollen will come up with the tape. 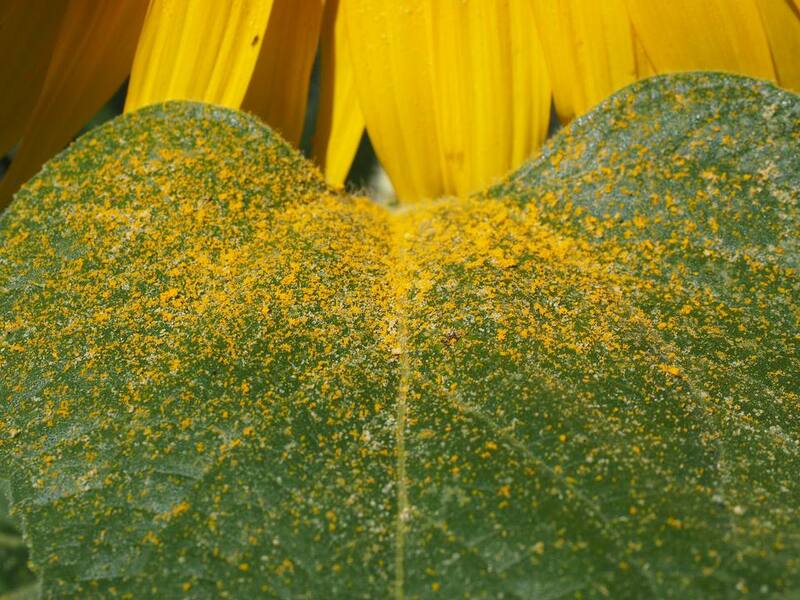 The more pollen you can remove, the better chance you'll have at fully removing the stain. Rinse with cold water. When you have removed as much of the pollen as possible, rinse the stained area with cold water from the back of the pollen stain. This will gently encourage the pollen to detach and exit the way it came in. Try soaking the fabric in cold water. If the stain remains, soak the clothing in cold water for 30 minutes. Rinse thoroughly. Every time you rinse, you are gently removing more of the stained area, so be sure to rinse completely. Rinse from the back of the stain. Repeat the previous steps. Repeat steps 2-4 until as much of the pollen stain as possible is gone. Use a spot stain remover. If you still see pollen stain or residue, apply a spot stain remover stick, spray, or gel. Then wash the garment in the hottest water that is recommended for the clothing. Heat will help the spot stain remover work better, but you don't want to damage your clothing and cause it to shrink or fade. Check the stained area before drying. Pollen stains may need several treatments before they fully disappear. If the stain is still there, repeat the above steps as needed before drying. It can be difficult at times to see whether a stain is all gone while the garment is wet. To be sure, you might allow it to air dry in a cool room once you think it's gone. Check the dry garment to see if you can still detect the stain. If you can, go back to steps 2-6. If it's gone, it is finally safe to dry it in the clothes dryer.